Do you love Italian food? If yes, you would really be fond of the traditional Italian chef. After all, he is the small, fat guy with a moustache and a grin from ear to ear. Find up how you can spice up your kitchen with Italian Chef Decor. Whether you are a house wife or a working mom, a bachelor or a single dad, all of us have to spend quite a lot of our time in our kitchens. So, it would only be wise to decorate our kitchen in such a way that it sends positive vibes all the time and working becomes a pleasure in the kitchen. Forget all the previous dreading of the kitchen work, as we have found a way to make it all too pleasant for you. 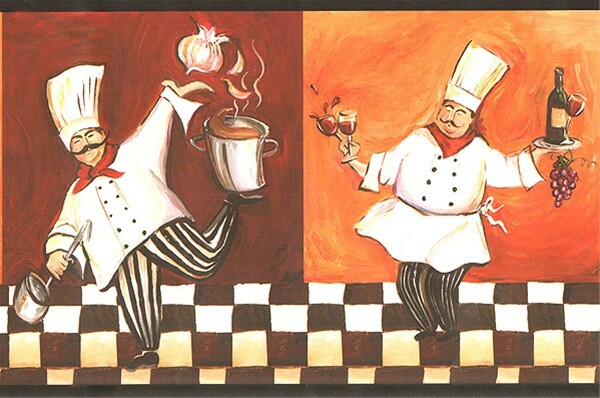 Decorate your kitchen in the traditional Italian chef theme!!!!! You are bound to get infected with that big smile of the Italian chef surrounding you from all sides in the form of various kitchen accessories available to decorate your kitchen. Italian Chef Canisters: Available in all shapes and sizes, you will find these wonderful Italian chef canisters most valuable in storing various food items. Italian Chef Cookie Jar: You can let it sit on your table as a decoration and use it as a cookie jar as well. Italian Chef Trivet: You can save your table from getting stained because of hot objects being placed on it by using these wonderful trivets, available in various colours and sizes. Italian Chef Tea pot Set: A teapot set of the Italian chef theme is sure to charm your guests. Italian Chef Wine Bottle Holder: Italian chef wine bottle holder has many styles to choose from; one chef is holding a bucket to hold the bottle, one chef is carrying a sac to hold the bottle. One chef is ready to hold the bottle in his arms. The choice is yours. Italian Chef Paper towel Holder: You can even find an Italian chef paper towel holder. An Italian chef is standing on top of the holder. Italian Chef Spoon Rest: This wonderfully useful article should not be missed. Placing the dirty spoon after stirring in the pot saves a lot of mess. Italian Chef Wall Hangings/Fridge Magnets: Several kinds of wall hangings are also available following the Italian chef theme. Even fridge magnets showing the happy face of Italian chef are available. Italian Chef Coffee Jar: Italian chef is also available carrying a coffee jar on his back, just for you!!! Italian Chef Napkin Holder: An ideal way to store away clean napkins. Italian Chef Oil Cruet: The best device to drizzle olive oil on your salads. These Italian chef accessories come in various materials, shapes and sizes. Glazed earthen ware, ceramics, chinaware and some even come in fine plastic material. Their prices vary depending on their medium and sizes. Go ahead; decorate your kitchen in Italian chef theme because a well decorated kitchen is a happy place to be in.